Seton's OK To Use Labels are backed by our 100% Satisfaction Guarantee! Select from a wide variety of OK To Use Labels at competitive prices. 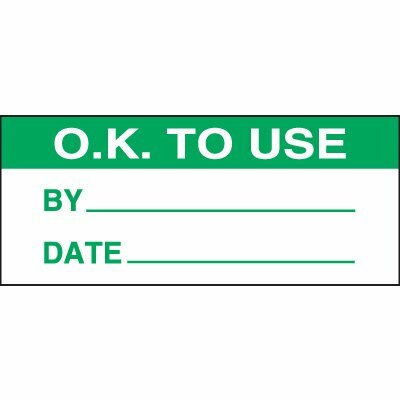 Plus most of our top-quality OK To Use Labels are in stock and ready to ship today. 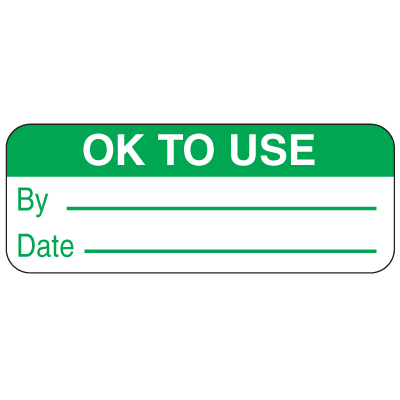 Calibrated/OK to Use self-laminating status labels keep information legible. Write on easily with permanent black marker. 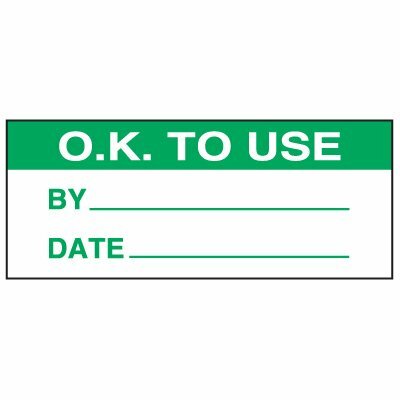 Ok to use status label provides a space where individuals can illustrate important dates and initials for a selected item. 2-in-1 peel when ok to use labels let you show employees that an action has been taken. Calibration status labels show it's okay to use if past this date.